My name is Sylvia Salvendy and I’m a Registered Nutritional Therapist, Health Coach and EFT (“tapping”) practitioner based in London and offer face-to-face consultations, as well as Skype and telephone consultations. I would love to help you feel your healthiest, happiest self. I help men and women take back control over their health to lose weight for once and for all, without resorting to faddy, complicated diets and deprivation. My clients often struggle with cravings, bingeing and/or emotional eating. They feel embarrassed, self-conscious and unhappy about their body, and really don’t like how they look in their clothes. They feel disappointed when yet another diet fails them, or blame themselves for lacking the willpower to lose weight and keep it off. The good news is, with proper nutrition and lifestyle support, you don’t have to rely on willpower! My clients also come to me when they want help with gastrointestinal and skin problems, low energy, blood sugar imbalances, hormonal imbalances (thyroid, adrenals, PCOS, endometriosis, prostate and heart health) and bladder issues. I help them feel in charge over their health again. My aim for you is to make your health improvement as easy as possible and for you to continue to enjoy those improvements long term. My clients are often confused by what they need to be doing and don’t know where to start. They are looking for step-by-step support to find simple and realistic solutions that help them stay motivated and succeed. So I help you get the right nutrition for your specific needs and create a simple, step-by-step plan to create healthy habits and integrate them into your daily life. Busy lives are welcome! A year from now, you’ll wish you started living your best life today. The secret is, that you just need to start it in order to live it. We know that there is never a perfect time to start a healthier and happier you. That’s why we work around your lifestyle and pace. Are you aware of some of the unexpected additional benefits of weight loss? Did you know that simple and easy changes to your diet and lifestyle can also help increase your energy, help you feel calmer, less stressed, improve the quality of your sleep and boost your mood? 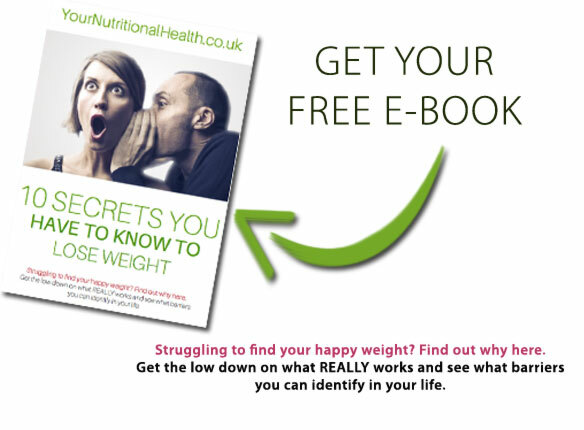 Were you aware that sexual desire, drive and performance in the bedroom, in both men and women, have been clinically demonstrated to improve after losing weight and making dietary and lifestyle modifications? Did you realise that having a healthy weight has been shown in studies to reduce employment discrimination against men and women in the workplace? You’ll be able to tell me about your current situation and where you would like to be, and I’ll explain how I can help you. We can then see if we’re a good fit. If we aren’t a perfect fit, no problem- I will also be happy to share other resources to help you get what you need. I love the work I do with my clients and they often tell me it’s life-transforming! Nutrition Clinics are based in Marylebone/Baker Street (NW1), The City (EC2) and Canary Wharf (E14).